On Wednesday morning, Minister of Education Ricardo Vélez-Rodríguez sat before the Committee of Education in the House of Representatives. The public hearing was scheduled so that Mr. Velez could lay out his proposals for the coming months, indicating whether certain government programs would be continued or not. After a sleepy and drawn-out four-hour session—in which Mr. Vélez-Rodríguez made a confusing defense of Colombian drug lord Pablo Escobar while explaining his views on a civil-military school system—Tabata Amaral, a 25-year-old first-term representative for the Democratic Labor Party, took the microphone to address the Education Minister. Ms. Amaral continued, stating that Ricardo Vélez-Rodríguez’s “inability to present a proposal, to know basic data, is disrespectful not only to education, to the committee, or to parliament, but to Brazil as a whole.” A video of the young representative’s dressing-down of the Minister of Education, 50 years her senior, went viral on social media and drew widespread plaudits (below, in Portuguese). The fallout from the hearing was such that the very same evening, GloboNews journalist Eliane Catanhêde reported that Mr. Vélez-Rodríguez was to be sacked the following morning. A little over an hour later, President Jair Bolsonaro denied this, claiming that it was another example of “fake news” against his government. It is unclear whether Ms. Catanhêde’s information was credible or not, however, as there are suggestions the government backed down from firing Mr. Vélez-Rodríguez after GloboNews leaked the story, using it as an opportunity to chastise the mainstream Brazilian media. Sources within the government have told the press that the Education Minister still be dismissed at any moment, though the administration intends to line up his successor first. 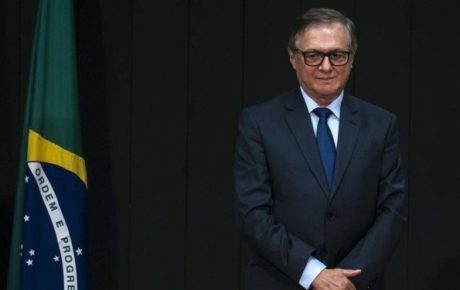 The military wing of the government has suggested Ivan Camargo, former dean of the University of Brasilia, as a possible replacement. The future of Ricardo Vélez-Rodríguez remains unclear. What is crystal clear, however, is that the first three months of this incarnation of the Ministry of Education has been an absolute mess. 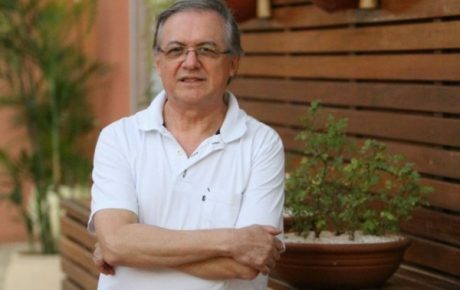 During the transition government, when it came time to select an Education Minister, Jair Bolsonaro very nearly picked Mozart Neves, a former dean of the Federal University of Pernambuco and a highly respected figure within the education sector. 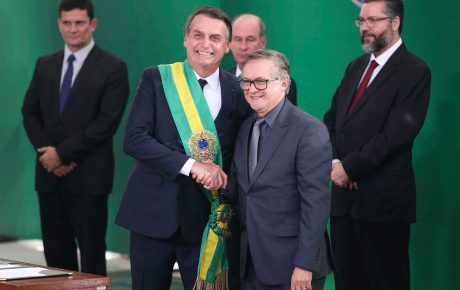 With Mr. Neves out of the picture, Jair Bolsonaro turned to Ricardo Vélez-Rodríguez, a Colombian-born philosopher recommended by the Bolsonaro family’s ideological savant, Olavo de Carvalho. 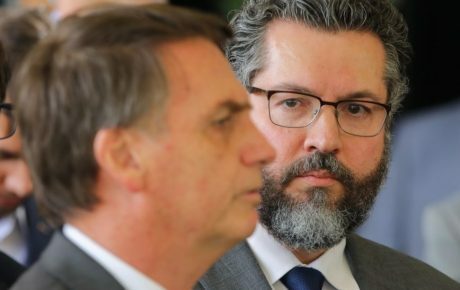 While the president has reportedly only spoken to Mr. Carvalho on a few occasions, Mr. Bolsonaro’s son Eduardo is one of his keen followers. It quickly became apparent that, whereas they could have had Mozart, the government ended up with Kid Rock. His administration first made headlines on January 2—only his second day in office—when the Ministry of Education published a revised invitation for proposals for the purchase of school textbooks. The bid notice allowed the MEC to buy school books which contained grammatical errors and were devoid of bibliographic references. Rattled by the criticism, Mr. Vélez-Rodríguez scrapped the document in question. Beyond being illegal on two counts (children and adolescents cannot be filmed without the express consent of their parents, and governments cannot use public funds to spread campaign material), the stunt showed where the MEC’s priorities lay: empty gestures of patriotism over meaningful improvements to education. Once again, after public ridicule, Ricardo Velez backtracked on his request. Up to this point, things at the Ministry of Education were reasonably calm. There were some murmurs from state education heads that not enough work was being done and there were too many uncertainties about the future of government programs, but Ricardo Velez was relatively comfortable in his post. That was until the Carnival holiday in March, when the competing forces within the MEC began trading blows. Dominated by both the military and Olavo de Carvalho’s disciples, the Ministry of Education became a proxy battleground for the very public tiffs between Mr. Carvalho and the leading figures of the Armed Forces. The philosopher, in a dig at military Vice President Hamilton Mourão, claimed the Jair Bolsonaro government was surrounded by enemies and that his followers should abandon their posts in the administration. Ricardo Vélez-Rodríguez, torn between his admiration for the military and his allegiance to his ideological mentor, began firing officials left, right, and center. The new government has been in office for a little less than three months, yet the chaotic start to the current Ministry of Education was fittingly tied off by Tabata Amaral’s public dressing-down of Ricardo Velez in the Committee of Education on Wednesday. 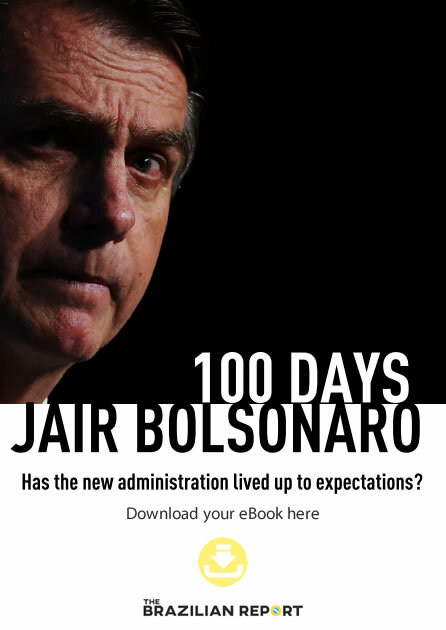 His lack of response and the dismantling of his inert administration even provoked President Bolsonaro to speak out about the subject, saying “things really aren’t going well [at the MEC],” and promising to speak with Mr. Velez when he returns from a visit to Israel. The inactivity and incompetence of the Ministry of Education are made all the more tragic by how important the department is to the country as a whole. Beyond being the second-highest funded ministry, the education system in Brazil is in dire need of improvements. 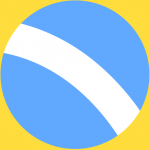 In the most recent biannual evaluation of Brazilian school students, the national mean in Portuguese and mathematics tests was a staggering 2 out of a maximum of 9. The same results showed that roughly 70 percent of high school graduates leave with unsatisfactory grades in these two subjects, meaning that after going through the entire elementary and secondary school system, these adolescents still struggle with simple comprehension or algebra tasks. At The Brazilian Report, we broke down the current state of affairs in national education in charts. Education Car Wash: corruption probe, or witch-hunt? Who is the future head of Brazil’s Ministry of Foreign Affairs?